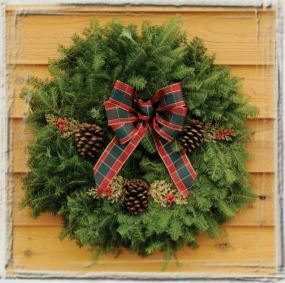 Wreath Fundraising – Nelson Nursery, Inc.
Christmas wreath fundraising is a profitable and fun program! Join the many organizations that have had great success selling our superior line of Christmas wreath products. Our 43 years of wreath fundraising experience producing wreaths, swags, roping and specialty items for all types of fundraising groups all over the United States. All of us at Nelson Nursery are committed to helping you be successful in your wreath fundraising efforts. Our knowledgeable staff is eager to help you every step of the way. We unconditionally guarantee fresh and quality products. No down-payment required for non-profit groups | Balance due 15 days after receiving order. Through fundraising, you are exempt from ordering in lots of 5 as stated on the price sheet. We use efficient and competitively priced delivery to every area. We offer wreath patches. Receive 1 FREE for every 10 patches purchased. These patches can be used for rewards and incentives. Click here to receive our complimentary 2019 Christmas Fundraising packet. Fundraising information will be sent out in August.